Today we are lucky enough to have Andrea with us Guest Posting from the Ellise Brown Foundation: Bows for Ellie - she is an amazing person who was willing to share with us all her story. Please take a moment to read her post, visit their site, and feel free to leave comments in response on our Facebook page. Merry Christmas 2011, The Brown Family is expecting! Wow, we were so excited. Noah was going to be a big brother. Noah went around telling everyone I am going to be a big brother with a big ole smile on his face. Pete and Andrea Brown could not have been more excited to make the family complete with the magical number 4. Andrea is always so nauseous when pregnant and was ready to hit that second trimester to get over the feeling and to find out if they would be having two boys or one of each. Right before Easter 2012 they found out they were expecting a little girl. Everything looked well with baby, except Andrea’s cervix was thinning to fast. So the docs put her on bed rest at the end of May and we had ultrasounds every week to check. Ellise “Ellie” Helene Brown made it to the c-section date of August 24th. Ellie weighed in at 7 lbs 3 ozs and 19.5 inches long. Big brother was so in love and so were mom and dad. Things went so smooth with Ellie as a baby. She slept through the night (big brother did not do that until he was 4, yes 4! ), ate like a champ, and was growing like a weed. Christmas 2012 came around and we were so excited! We had a new bike for Noah and a baby cabbage patch doll for Ellie. Pete and Andrea were both teachers so they were also excited to have two weeks off to spend with the kids. Ellie loved Christmas. She was such a good baby and would sit and just smile until someone opened a gift and started crinkling the paper. She would scream at them. We couldn’t believe it! She smiled all the time, but that paper scared her. If they had only known that would be the last video they had of her. New Years was here and we had lots of family plans. However, Andrea’s brother Brad went sledding and had a “little” accident. So Brad’s two boys, Evan and Ethan, were spending the day with Pete, Andrea, Noah and Ellie. This would be the last time all the boys were together to play with her. She loved to watch them. That night they Skyped with Pete’s parents who were in Michigan and Pete and Andrea’s first day back to work after Christmas break was spent with Andrea’s dad and the next day with Andrea’s mom. Ellie had her fill and her last “stop” was on January 9, 2013. Pete and Andrea dropped Ellie off at her babysitters. Andrea’s mom watched Ellie and Noah 3 days a week and they went to a family friend who babysat out of her home 2 days a week. We could not have asked for a better babysitter, she loved our kids as her own. The kids always went for a walk to see the farm animals. On the way Ellie fell asleep in her car seat. When they got back, Ellie was still sleeping so she left her in the car seat and sat her back in the “nap room”. She checked on her a few times and the last time she checked, Ellie was unresponsive. Ellie never woke up; she had gone to be with the Lord. Two days later the sheriff tearfully reported to the Brown’s “we have no idea why your daughter died and so her death will be classified as Sudden Infant Death Syndrome (SIDS).” This is the answer one gets when there are no answers…there would be no closure. Ellie was Andrea’s “bow diva.” Everywhere Ellie went Andrea had a bow in her hair to match the outfit. We had a drawer dedicated to bows. Andrea loved them and so did Ellie, she never bothered them. Through our grieving, we decided we wanted to start a foundation in her name. 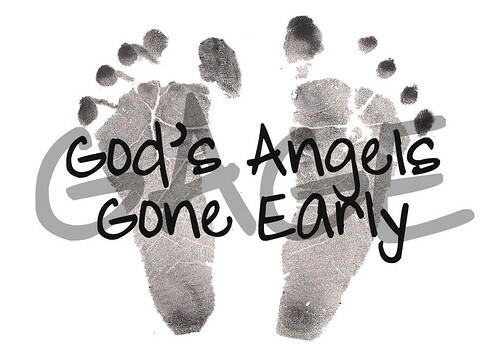 Our mission was to educate families on SIDS, raise awareness, provide funding for research on SIDS, and to cover funeral costs of families who lose an infant. To raise money, Andrea wanted to make bows and sell them. Yes bows! In March 2013, they began the Ellise Brown Foundation with funding from Bows for Ellie. They knew bows would not provide all the funding for all they wanted to do. In the midst of starting the foundation, they found a run/walk that supported SIDS and it was in our neighborhood, Tyler’s Run. Andrea and Pete were excited and wanted to volunteer. To their disappointment, the family running the event was retiring from the run and asked if they wanted to take it over. WOW! Two months into the grieving process, can we really take on this fundraiser event and make it work?!?! The Brown Family was on board! We can do it and let Ellie be our motivation. Instead of crying, lets make bows! Instead of sitting here thinking about what ifs, let’s send sponsor letters! And our sadness and grief was channeled to making the first annual Ellie and Tyler’s 4 Miler a successful event! And successful it was! We were able to donate to Whitewater Park Kids Program, Cribs for Kids Program in Cincinnati, Cradle Cincinnati, Charlie’s Kids, provide funds for a families loss of an infant, and last but not least Margaret Mary Health. Margaret Mary Health is where Ellie was born and was also the place she was pronounced dead. We wanted to focus a great effort at the local community hospital on SIDS and ways to promote safe sleep. We met with the head of the OB department, Debbie Gloyd, and she was up for any change we wanted to make to efforts to promote safe sleep practices. She said “If we are going to preach it, we are going to do it”. In less than a year, Margaret Mary Health is a blanketless hospital and committed to the use of sleep sacks. Every mother upon discharge is now provided with a swaddle sleepsack to use with a newborn and a size small sleepsack to use as the baby gets older so there are no blankets are in the crib. Each mother also receives a Charlie’s Kids Sleep Baby Safe and Snug book with safe sleep practices on it, and if a baby girl they receive an Ellie Bow. And our last step was to provide cribs so parents do not co-sleep with their infant. As such, we stared a Cribs for Kids Program at Margaret Mary Heatlh. Through the grace of God, baby Ellie is leaving her mark and having a wonderful impact on this world. The Brown families next step is to convince the local Cincinnati hospitals “walk the walk” and to jump on board with “blanketless” nurseries.